Family memberships available for three or more members from the same immediate family. Grading fees will be $20 for adults and is contingent upon passing testing. We only take beginners at the beginning of the fall, winter and spring terms, the adult classes run throughout the year and over the summer. Our term schedule is approximately 10 to 12 weeks long for youth and adults. There are breaks between terms for youth but the adults train throughout the year non-stop. Terms are based on time and not the number of classes as weather and unforeseen circumstances may limit the number of classes. Class begins with a few minutes of meditation to calm the mind. After a bow we do a warm up that is designed to get the blood flowing, either Qi-Gung exercises or a light jog around the gym or a sparring exercise. From there we do some stretching, after that we will usually do some matt work or kyhon to further stretch out joints. At this point we either break off into our belt levels and practice or we will practice techniques of the system as an entire class. Once a month we will do some Bokken (wooden sword) work. 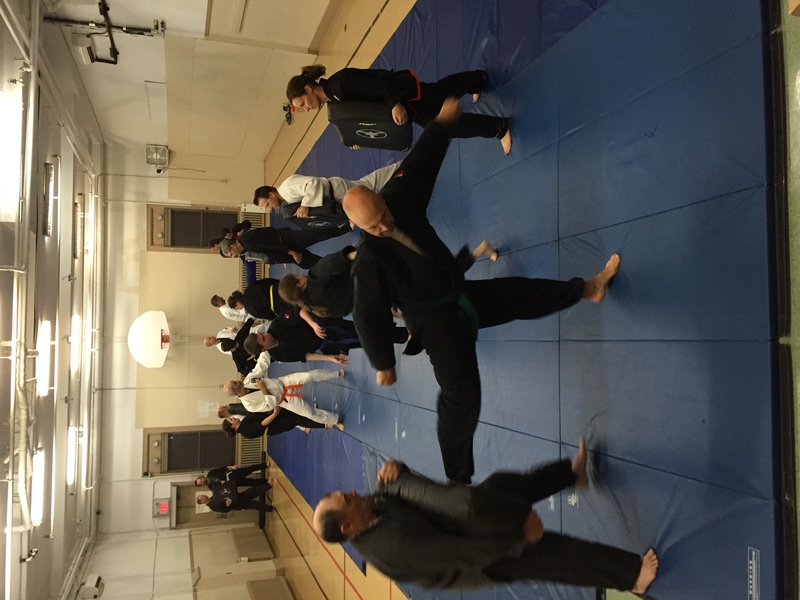 There are very few requirements needed for the practice of Kyushu-Ryu Ju-Jitsu. There is a fitness requirement, if you can not lay down and get up fairly easily you may have an issue. Also, we do rigorous warm ups so if you have health issues you should let the instructor know and consult a physician as to whether should be participating in such a program. 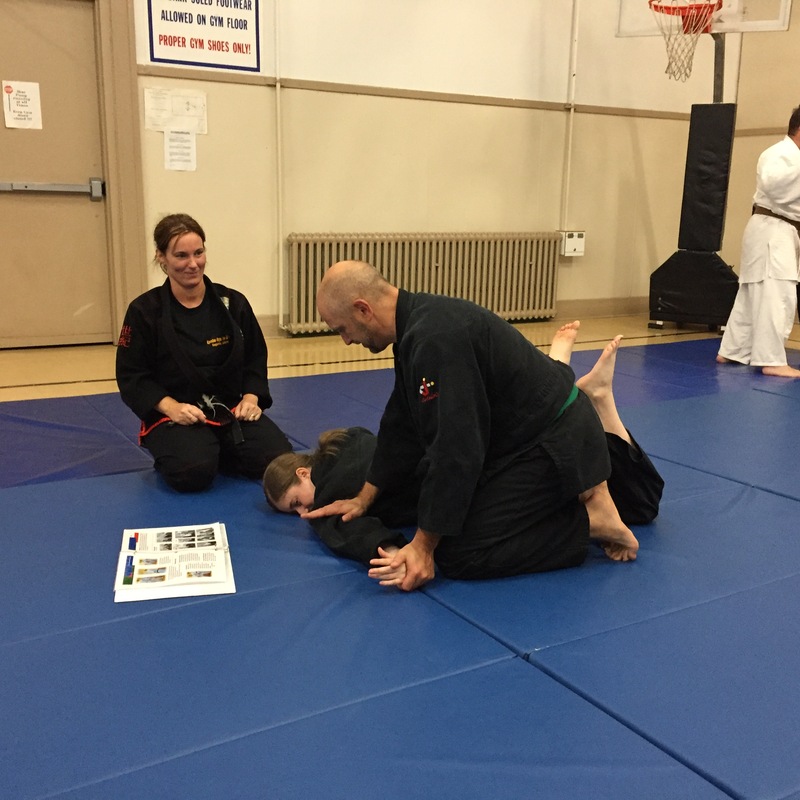 Beginners do not require a gi (uniform), but are expected to have one for their second term. Practice can be done for the first few months in a t-shirt and shorts or track pants. It is always handy to bring bottled water as the water fountains are not convenient, nor are they pleasant tasting. As with most martial arts, Kyushu Ju-Jitsu is practiced in bare feet. There are seminars through out the year. These are not mandatory for students but quite beneficial. The prices of seminars depends on length and how many will attended. Plenty of advance warning will be given and posted on this web site.